Seton's Jul Labels are backed by our 100% Satisfaction Guarantee! 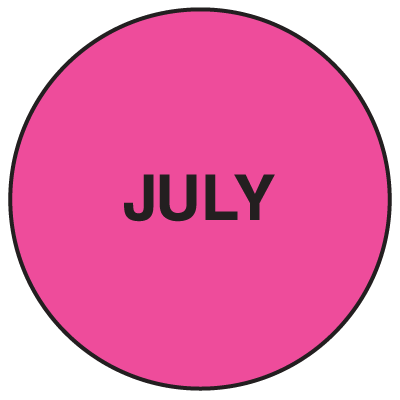 Select from a wide variety of Jul Labels at competitive prices. Plus most of our top-quality Jul Labels are in stock and ready to ship today. 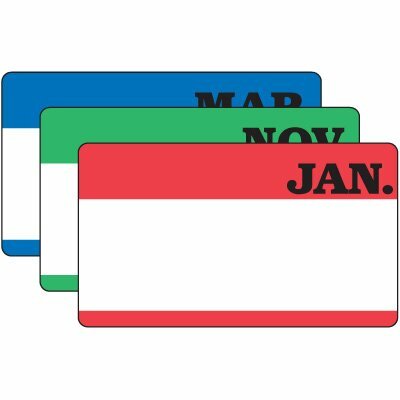 Fluorescent July inventory labels are highly visible for easy organization. Monthly inventory labels illustrate the month, with a blank space below for additional information to be written. 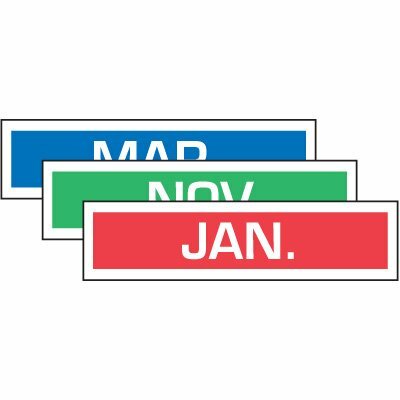 Monthly inventory labels offer an easy way to keep track of inventory with their peel and press application. Record 4 years of inspections with aluminum extinguisher labels that resists harsh conditions for reliable inspection records.